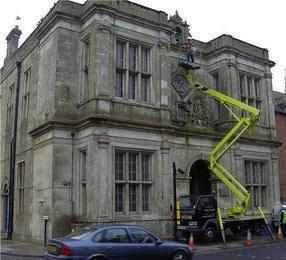 WORKMEN have at last started cleaning up our filthy Town Hall, writes Paul Macdonald. A campaign was launched on the innovative visionforwarminster.co.uk website last October to return the building to public ownership. 'Our town hall is nothing but a disgrace. Can you imagine a French town or a well-ordered English town such as Romsey allowing its prime building to deteriorate to such an extent' were the words that finally stirred town councillors to act. The local most visual eyesore that has been caused by its flighty squatters the pigeons suddenly flew on to the council agenda. The town council's knee-jerk reaction last December at a hastily convened special full meeting was to offer the carrot by raiding the historic buildings trust fund to the tune of over £5,000 for work on the 'luxury pigeon loft'. They offered it to the owners as it would cover half of the possible final bill. 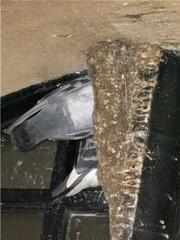 In the meantime the pigeons have taken to nesting in the very prominent entrance to the historic building. The money is to be handed over to the owners when the work is done. This was opposed at the time by Cllr. Paul Batchelor who this week is still unhappy. "I think we all agree that a humane way needs to be found to remove the pigeons from this building and not to shift the problem elsewhere," said Cllr. Batchelor at his weekly surgery. "It certainly is not for public funds to be spent on cleaning up this building." 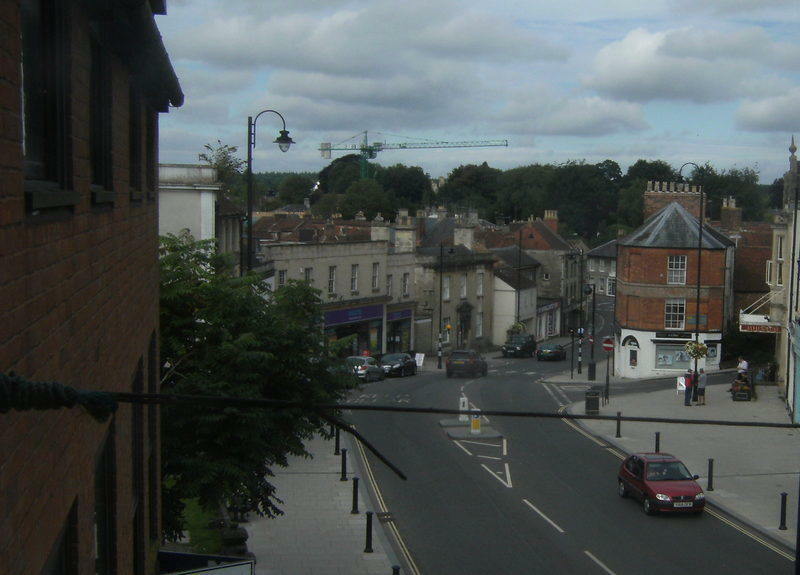 It is the view of Vision for Warminster that the town hall should rightfully be owned and controlled by the people of the town and so far their internet poll shows over 95 per cent agree. Pictured: The camera shy pigeons.